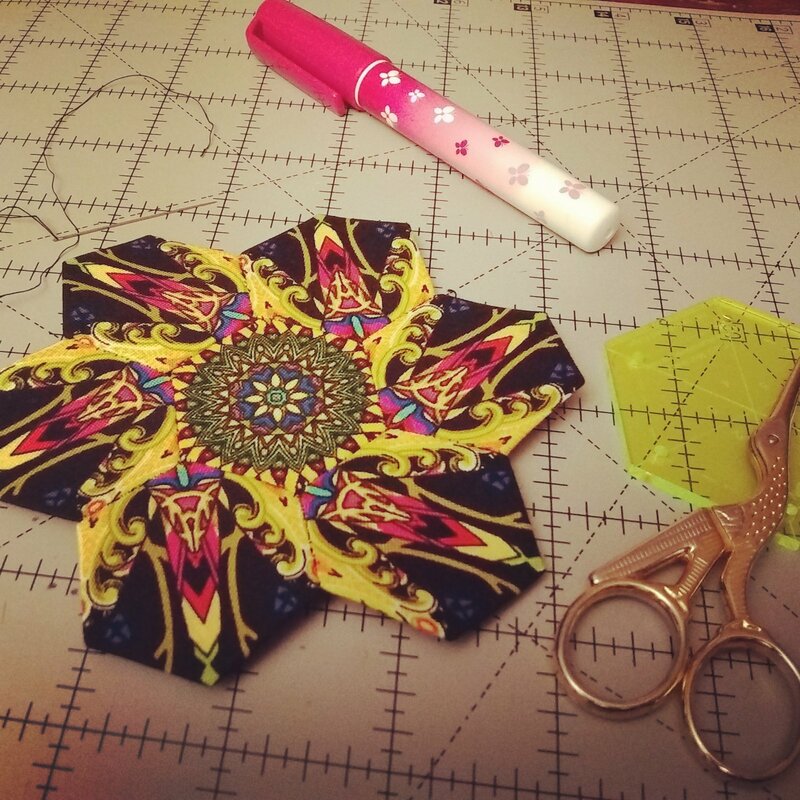 What's the big deal about English Paper Piecing? Traditional English paper piecing has undergone a revival and is being used in fresh, contemporary ways that are gorgeous. And if you enjoy handwork this is simple yet satisfying. We will discuss fabric choice and choose fabric and thread during class (will require at least 1/2 yard large-scale print). These choices are very important, so bring fabric/thread if you'd like but be prepared to buy either fabric or thread if necessary. We will look at tips and tricks for using repeats to make fantastic patterns. We'll set up for and piece using hexies (because they have great possibilities and are a great place to start), and we'll explore different ways to finish EPP tops and fun, small projects that are perfect matches for EPP. Zip-lock bag or snap-shut box to hold your project.